Our train spit us out in Venice at 5:27 a.m. It was too early to visit the baggage check and nothing was really open. 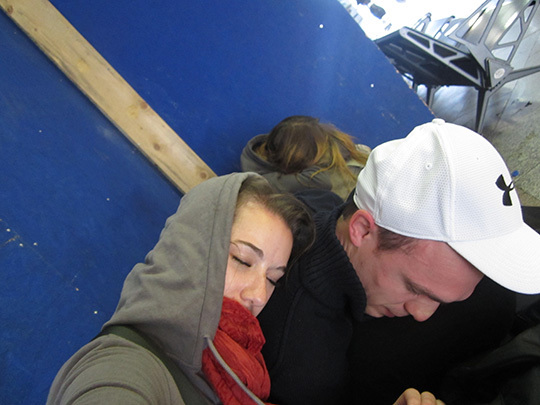 So we found a bench and slept for an hour like the homeless people that we are. I think the girl next to us really was homeless. Sigh. We got ready in the large train station bathroom that was one of the nicest public restrooms I have been to. It was pay only and it was a backpacker's haven. Backpackers with all different nationalities turned it into a primping room, so I didn't feel too embarrassed to freshen up in there. 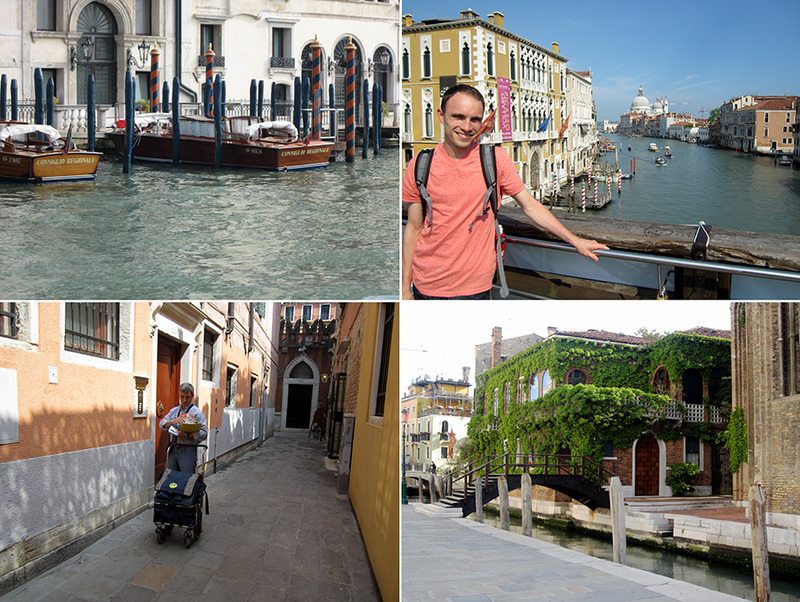 Connected by bridges and walkways, Venice is magic. I couldn't stop smiling the entire time we rode through the main canal. Boats are the main mode of transportation. 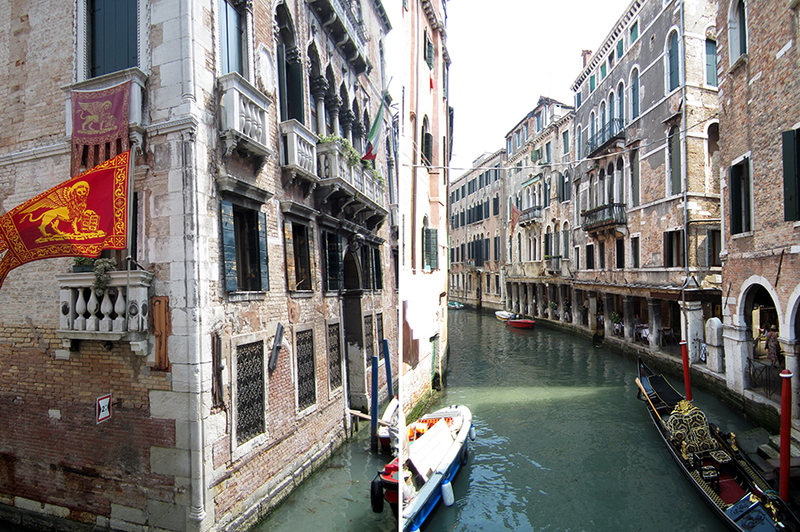 The middle of the island is a huge waterway called the Grand Canal. 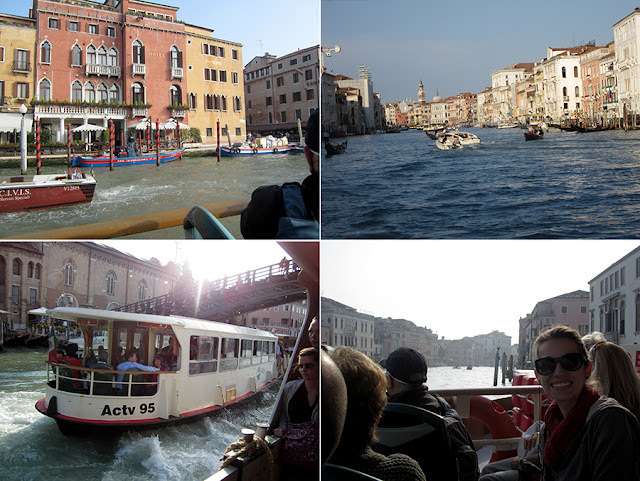 The Grand Canal is serviced by vaporetti, the public bus system. 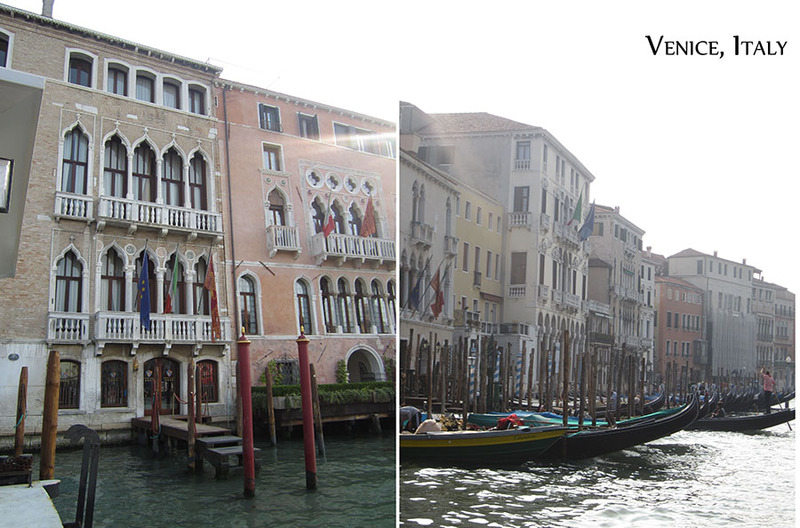 We took the longer version to really get the whole feel of Venice. 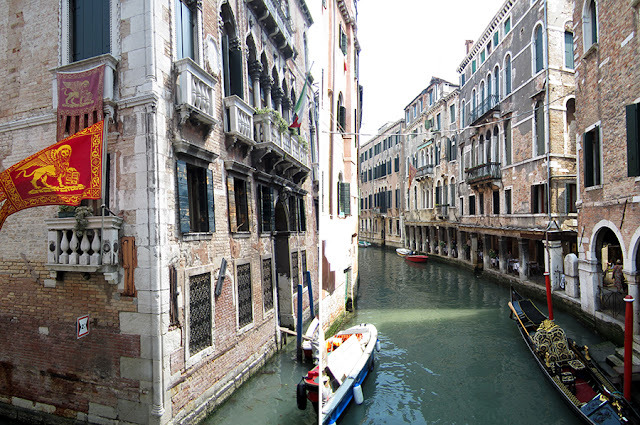 The water comes right up to the buildings and people zip in and out on motorboats. It felt like I was in the beginning scene of "Indiana Jones" or in "The Tourist." Sadly, there were no boat chases. 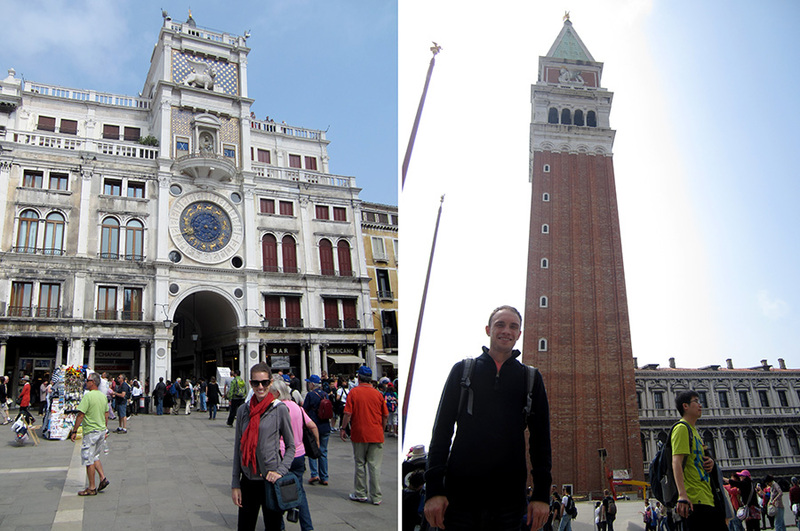 St. Mark's Square is a huge square with a cathedral, bell tower, art museum and incredible people watching. We strolled around the square and I tried to feed the pigeons, until I saw one with a mangled claw and realized the pigeons are practically rats of the sky. I lost all desire to be near one. One of the biggest stops is the St. Mark's Cathedral. It is massive with an impressive facade. While the cathedral is massive, the line was even longer. Most visitors wait in the line and get ushered off to check their backpacks at baggage check. We went to baggage check first and got to skip to the front of the line. Huzzah! 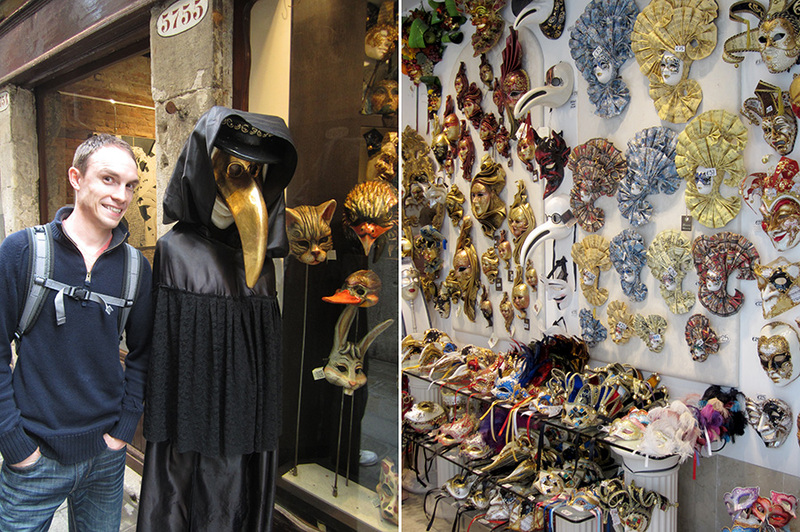 Venetian Carnivale masks. Less scandalous than other Carnivale celebrations so we were told. After the square we did what everyone should do in Venice: we got lost. 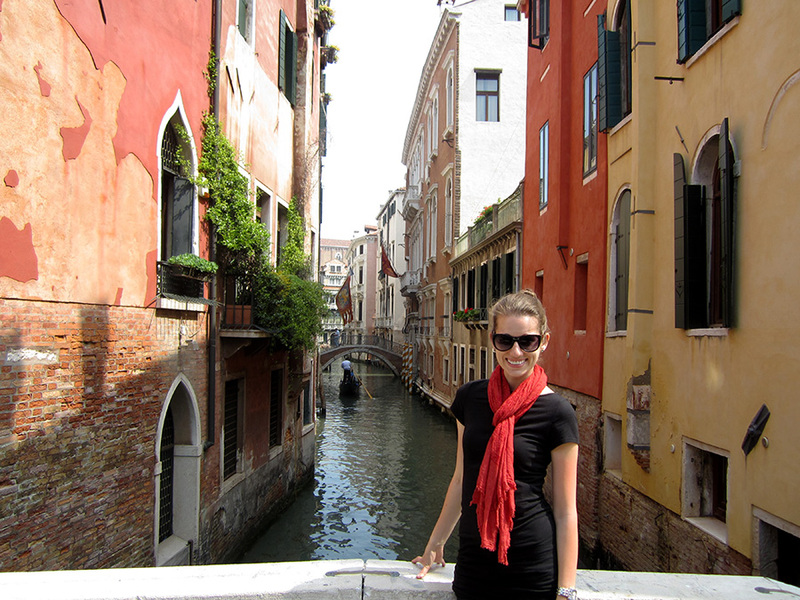 How do Venetians get their mail? 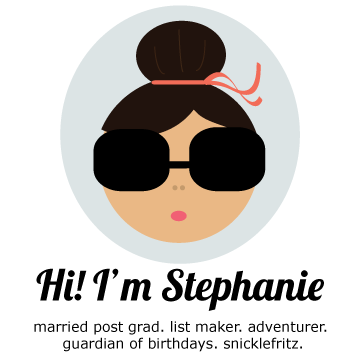 By a mailman and a small mail cart! Lunch was at Trattoria Cad'oro. Seafood seemed appropriate. Our seafood came with tentacles intact. Couldn't stop taking pictures. 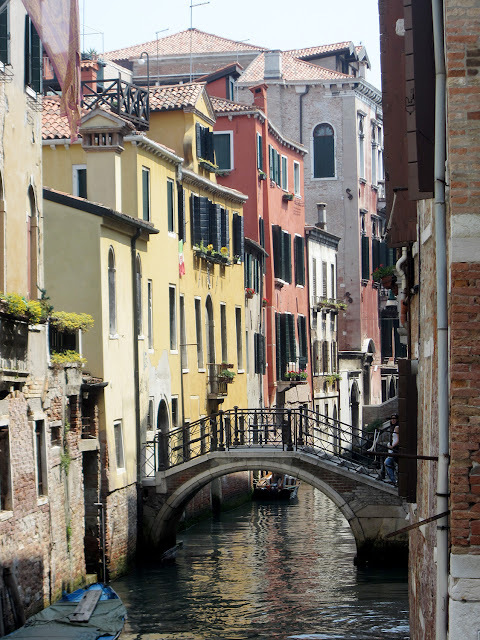 Every bridge, boat and facade is picturesque. 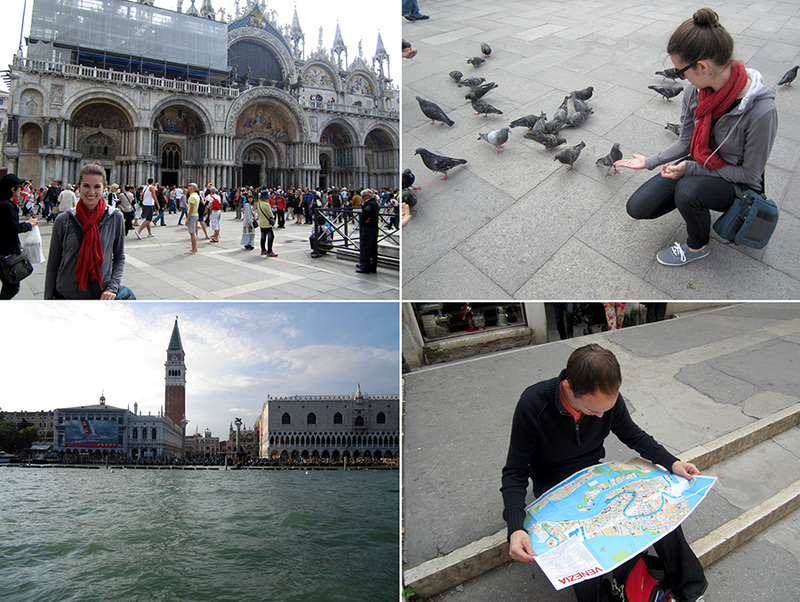 We came, we saw and we conquered everything we wanted to see in Venice. 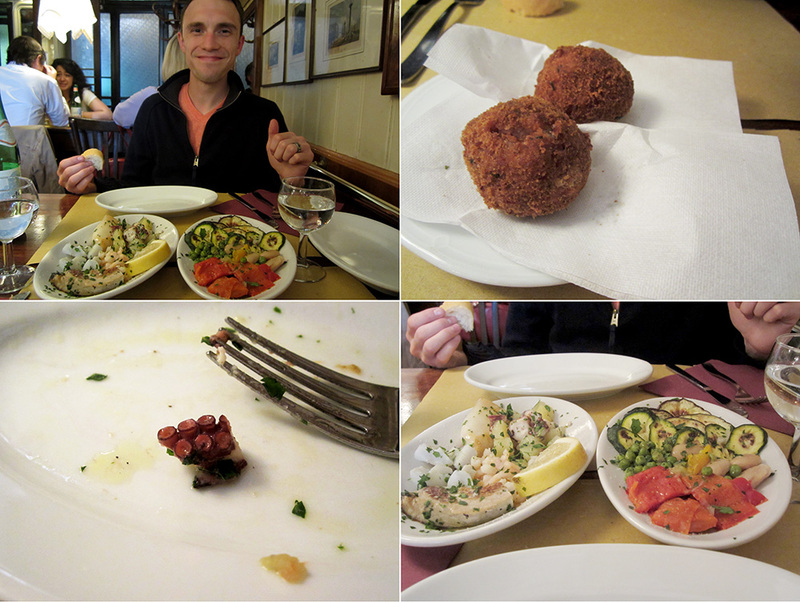 Twelve hours was plenty for us, and we grabbed our bags and jetted down to Florence. We arrived after dark and thankfully found our bus quickly. Our host, Andreas, gave us a quick introduction, a warm shower and we crashed hard. Oh boy, this brings back lots of memories. The getting lost in Venice part, the pigeon part (glad they're still in the San Marco courtyard), the mountains of gelato, the masks to buy (still not sure why), the vaporettos, and the picturesque bridges and waterways. After seeing The Tourist, we thought Angelina Jolie looked so relaxed and unrushed in Venice. There were never crowds. Her hair was never frizzy and her face was never sweaty. She never crammed onto a water bus. Her hotel room was huge. I really liked the movie, but thought some things were a stretch! Nothing is ever as glamorous as the movies! Oh, well. We had a wonderful time even with the crowds and public transportation.